GSSI, manufacturer of GPR equipment, announces the availability of LineTrac™ XT, an accessory to the StructureScan Mini XT. 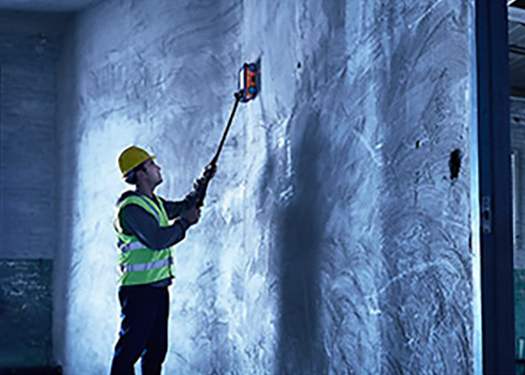 The combination of the StructureScan Mini XT and LineTrac XT helps concrete professionals locate specific power sources in concrete, including AC power and induced RF energy present in conduits. The new LineTrac XT accessory combines radar data with a magnetometer, delivering accurate, dependable, and repeatable performance. LineTrac XT includes a number of features that make it easy to identify target utilities, including easy integration with StructureScan Mini XT, seamless data fusion with GPR data, a 50/60hz electro-magnetic sensor used to locate powered conduits, and a rugged, IP-65 rated enclosure. LineTrac XT detects extremely low amplitude AC signals associated with difficult to locate conduits. The LineTrac XT accessory complies with all applicable FCC, RSS, RoHS, and CE requirements. It can operate in temperatures ranging from 14°F to 122°F. The StructureScan Mini XT now comes equipped with the LineTrac XT software package. Users simply insert the LineTrac XT into the front accessory port, select the LineTrac XT module, and choose between 50hz or 60hz.